Cook the freekeh according to the instructions on the packet. Use 2tbsp of the olive oil to coat the courgette and sweet pepper and grill them either using a grill pan, or under a hot grill. Make a dressing using the rest of the olive oil, the herbs, the rind and juice of the lemon. Season to taste with salt and freshly ground black pepper. 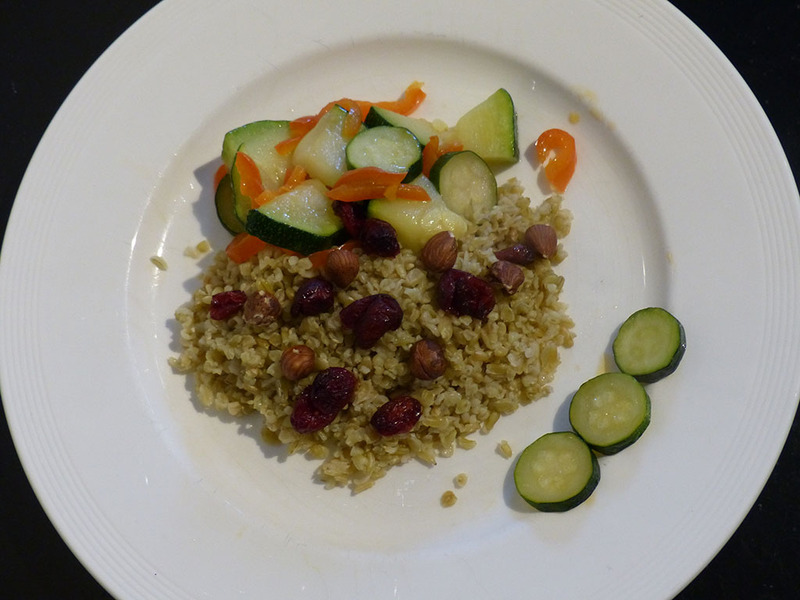 Make a salad using the cooked freekeh, the grilled vegetables and the dressing. Top with grated Prosociano cheese and the mix of goji berries, cranberries and nuts.